My last recipe post was for very fabulous ratatouille. Well if you are like me you probably had leftovers. The leftovers can be used for a whole plethora of things but my favorite has to be lasagna. I love the big hearty pieces of vegetables cooked together with Italian sausage and some rich cheeses. This ended up being the best lasagna I have ever had! You can make one large lasagna in a 9” x 13” baking dish or two small ones in 8” x 8” dishes. I opted to make 2 so that I could freeze one for another night. That means I get to enjoy this delish dish twice! Oh lucky me! Gotta love this French meal turned Italian. Note: When I make lasagna I like to double up the noodles on the top and bottom layers. I feel like it helps hold it together better for ease of serving. This requires that you cook one and a half boxes of noodles since just one isn’t enough for this method. If you don’t want to double up then one box is completely adequate. In a large skillet brown your sausage and drain off any excess grease. Add tomato sauce and ratatouille to skillet and warm through over medium heat. While the ratatouille is heating through cook your lasagna noodles according to the package instructions, drain, and separate. In a small bowl combine the ricotta, basil, salt and pepper. Prepare a 9” x 13” baking dish with butter or cooking spray. Cover the bottom of the baking dish with a layer of the cooked noodles and then place a second layer of the cooked noodles on top of that going the opposite direction. Spoon in about 1/3 of your ratatouille sauce over your lasagna noodles and spread evenly. Top sauce with half the ricotta mixture and sprinkle a handful of the mozzarella over the top of the ricotta. 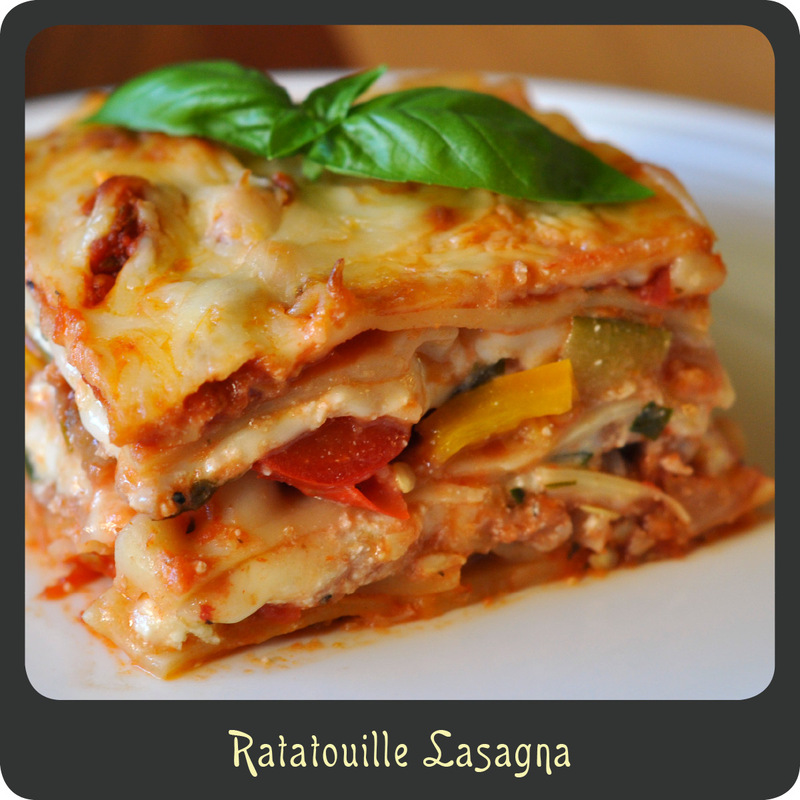 Place a single layer of noodles over the ricotta and spoon in about 1/3 of your ratatouille sauce over your lasagna noodles and spread evenly. Top the lasagna with cooked noodles and place a second layer of the cooked noodles on top of that going the opposite direction. Spoon remaining sauce over the top and sprinkle with remaining cheese. Bake for 25–30 minutes or until the top is bubbling and the cheese is golden brown.